Seven years ago today I hit “publish” on my first post on Wannabe Wino. I did not know at the time how much the wine blogging and wine community in general would come to be a part of my life. I’ve made life-long friends through this endeavor, found my community, and have tasted more wine than I ever thought possible. When I hit publish on this post, it will be post number 1491. 1491. Not even a fraction of the wines I’ve tasted in that time given I long ago gave up trying to write about every single wine I tasted. I’ve been to Portugal, Canada, various US wine regions, and attended 5 out of 6 annual Wine Blogger Conferences. I apologize for the relative silence around here. I’ve been a bit under the weather and feeling uninspired to write about wine when I was on the mend. I’m better now, and off on my next wine adventure. I’m headed to NYC this morning to attend the Snooth The People’s Voice Wine Awards event. A weekend in my favorite US city with my wine people and a dozen different exciting wine events should get things rolling around Wannabe Wino again. I’ll be attending everything from a Wines of Austria Master Class to an Oregon Wine Board dinner. Look for lots of upcoming posts on all the new wines I discover while on this adventure. 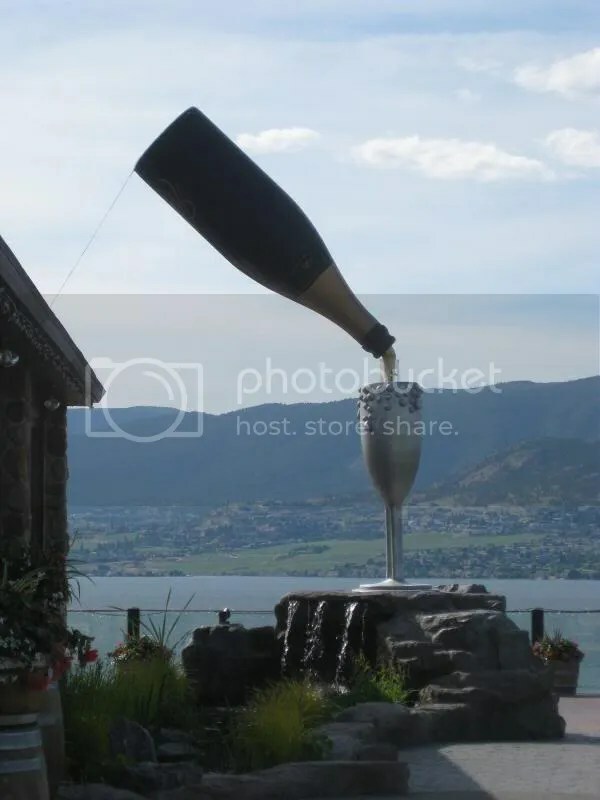 Next up, Drink Local Wines in Baltimore in April, then the Wine Blogger Conference in Penticton, BC in June! Spring has sprung with tons of wine events. I couldn’t be more delighted. Filed under: Misc, Wine |	Comments Off on NYC Bound! Hope your evening was full of bubbles, family, and friends! Filed under: Misc |	Comments Off on Happy New Year! Happy Half Decade Wannabe Wino! Five years ago today (or perhaps it was a few days before that since it took me a couple days to get this whole blogging thing set up and then maybe a few more to decide I actually wanted to push “publish” on the blog) I said to Mr. Wannabe Wino: “Hey, I think I’m going to start a wine blog.” At the time I think he probably said something to the effect of “Mmm hmm, sounds good.” He probably thought it was just another hobby I’d take up and abandon shortly thereafter, like jigsaw puzzles or calligraphy. Lo and behold, here I am, 5 years later, and not only going strong, but with Mr. Wannabe Wino actually joining in the fun! This past year has been necessarily slower on the blog as I adjusted to having a baby, then going back and being a working mom. Finding a balance there, and the time to not only taste the wine, but write about it here on the blog, without taking time away from my family has been a challenge. I hope to work more on that in the coming year. Even so, I managed to attend the 4th annual Wine Blogger Conference held here in my home state after taking the previous year off since I was all pregnant and such. I have plans to attend the upcoming 2010 Conference in 2012 with Mr. Wannabe Wino in tow! Thanks to all of you who have been with me from the beginning, to those who have joined along the way, and those who have just found me. 1372 posts later, I appreciate each and every one of you. Cheers! I’ll shoot you an email for your mailing address and we’ll get that right into the mail for you. Filed under: Misc |	Comments Off on And the Winner is……. 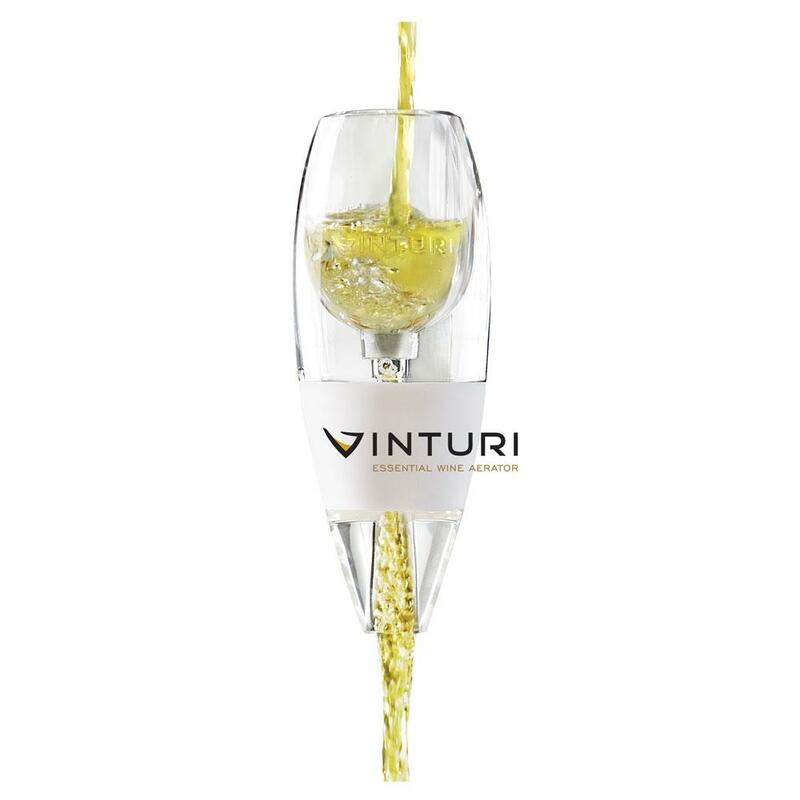 A few weeks ago I received the Vinturi White Wine Aerator as a sample for review from the Vinturi company. Along with that, the Vinturi folks offered to do a give-away on my blog! So who does that benefit? You! All you need to do to win is go here on Facebook and like Vinturi, then come back here and tell me you did so and want to win. I’ll enter all the comment numbers in a hat and pull a winner in a week or so! The Vinturi White Wine Aerator retails for about $29 and would make a fun stocking stuffer for your favorite wino…or keep it for yourself!I’ve never done a give-away before, but I thought I’d give it a shot and see how it goes. Now, I can see you shaking your head. Aerate white wine? Who does that? I must admit I was skeptical as well. I’ve never decanted or aerated white wine. I hosted a tasting last week and ran the Vinturi through its paces. The results? Sauvignon Blanc didn’t really seem to benefit, Riesling got a whole lot more aromatic, as did Viognier. It seemed to me to have the same results as letting your more aromatic whites warm up a bit. Pretty neat. Toss your hat into the ring to try to win your own. I’d love to hear your thoughts on it too!